Most people have tried to make a paper airplane at one time or another. But there are many other flying creations one can make out of paper. 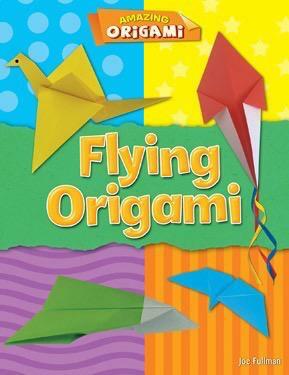 From the traditional flapping crane to a high-flying helicopter, the origami crafts in this book will put simple paper airplanes to shame! Step-by-step instructions guide readers through each project and include full-color images of the instructions as well as the finished product. Even experienced origamists will enjoy new ways to fashion an airplane, flying heart, kite, and butterfly!